Anyone else think that summer is flying by?! Let's make the most of it with some end-of-summer entertaining! We're dreaming of cool night breezes, fruity cocktails, ice cream desserts and dips in the pool. Oh summer, please stick around a little longer! 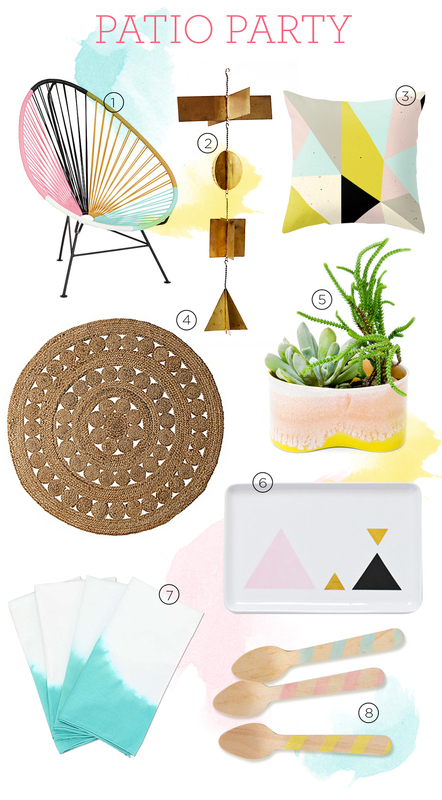 Hopefully this mood board will get your juices flowing on hosting your own get together!